Don't be soft, you love your kids & it's why we don't let them Quit! The question that parents ask when they may not realise the long term benefit of martial arts training for their kids. Please take the time to read this email, as the message is very important and won't take too long. We are currently in that period where kids commence new sports and activities for the year and are looking to “try something new”. 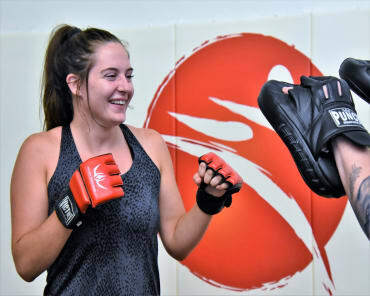 For some, this means replacing karate training with other sports or deciding not to do anything at all. 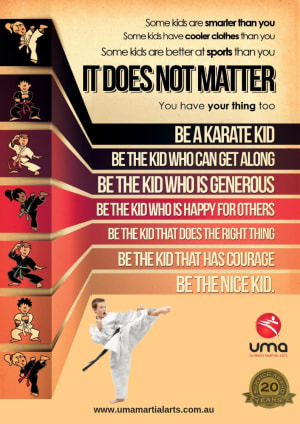 Before making that decision, we want you to be aware that karate is not just another “sport” or after school activity. Karate will teach your child the life skills that ordinary schooling will fail to teach. We will teach your child to be resilient when life doesn’t go to plan, we will teach your child to say no even when the pressure of fitting in is high, we will teach your child to work at something in a world where convenience and minimal effort is sought after. After a few years of commitment, we will teach your child to truly respect themselves through helping them realise their absolute potential and their self worth, a lesson that will shape their decisions for the rest of their lives. Just take the time to speak to some of our higher rank parents to know that this is the complete truth. I am happy to refer you to some. Please don’t make the mistake in comparing us to other sports, we provide an education for life, not just fitness. 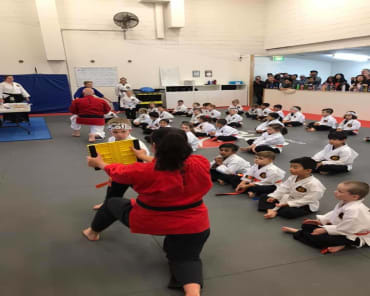 We ask you to consider this before asking your child if they want to try another sport this year instead or karate and urge you not to let them walk away with minimal consideration of what they are really walking away from. 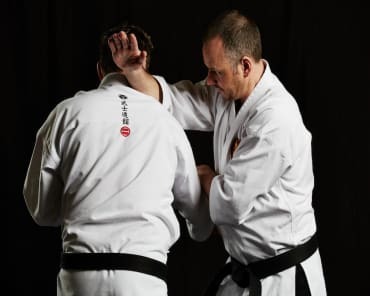 We highly encourage other sports and activities, the benefits are immense, but not in replacement of karate classes, find a way to do both or at the very least, commit to one day a week with us. I promise that it will be one of the best and most important decisions you can make for your child. If your child is at risk of not continuing with us this year, please consider this email and take the time to meet with one of our instructors before making your decision.